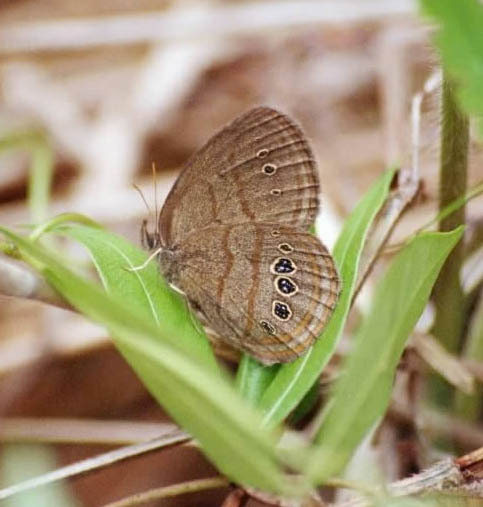 Saint Francis’ satyr, a delicate, small butterfly with a wingspan of just an inch and a half, lives in secret. Only one community of the endangered butterfly is known to exist in Cumberland and Hoke counties, where development and other human interventions have rendered it nearly extinct. It lives in an undisclosed location known only to researchers, federal wildlife officials say, to prevent poachers from wiping it out altogether. The butterflies’ survival could become even more precarious if Interior Secretary Ryan Zinke and the Trump administration succeed in rolling back key portions of the Endangered Species Act, a bedrock of environmental law. Whether a pipeline project or a road, extra steps to comply with the ESA are more expensive. Industries have long complained about the additional costs and prohibitions required to comply with the act. Now that they have the sympathetic ear of Secretary Zinke, industries are getting the leniency they’ve asked for. The proposed changes include weakening protections for threatened species — those ranked right below endangered — and allowing the government to weigh the cost to industry in determining whether a species should be saved. It also would be more difficult to add species to the endangered list. According to the US Fish and Wildlife Service, 42 species are endangered in North Carolina and 19 are threatened. These include, plants, mammals, fish, mussels, birds, insects, spiders, reptiles and amphibians. Even under current law, a species’ survival is not guaranteed. For example, only 40 or so endangered red wolves remain in six counties in northeastern North Carolina — the only known wild population in the world. And yet, USFWS wants to further shrink the wolves’ habitat, in part caving to demands from area landowners who complain the animals encroach on their property. The: Southern Environmental Law Center has sued USFWS over its plan to moving the remaining animals to federal lands in Dare County, an area that cannot support more than 15 wolves. Some would be captured and placed in zoos and nature centers, such as the Museum of Life and Science in Durham. Others would be allowed to die. The administration’s proposed changes to the ESA also could strip the Neuse River waterdog, a salamander lives along the route of the controversial Atlantic Coast Pipeline, of future protections. The NC Wildlife Resources Commission designated the waterdog as a species of concern in 1990, and it is a candidate for the federal list. It can’t be captured or killed without a permit. Now ACP contractors are required to use a less invasive construction method. Although it won’t guarantee no riverdogs would be killed, it would lessen the chances. The Complete 540 project, a proposed toll road in southern Wake County, would threaten the lives and habitats of the Atlantic sturgeon and the dwarf wedgemussel, both endangered, and the threatened yellow lance mussel. Last week, the SELC notified federal and state wildlife and transportation officials that it intends to sue them over violations of the act; these include the proposal to issue “incidental take permits” — legally killing a certain number of species — that could wipe out the mussels in North Carolina. The proposed changes will be published on July 25 in the Federal Register for public comment. Comments must be received by Sept. 24.